Video Purports to show Obama Driving his "Choom Gang"
As soon as this was made public, a video purporting to show Obama driving his "Choom Gang" buddies to school has surfaced. This video is an obvious fake as it never shows Obama leaving the Volkswagen van or shows his image. This is yet just another reichwingger plot to further smear our beloved President along with this sorry hit piece of a book. I watched all the CHOOM GANG movies a hundred times! My favorite was "Up in CHOOM". We see how it is now...Mittens went to high school, and Great Leader went to school high. Now which one wasn't the barber? The people have truly broken the glass ceiling of western capitalism. 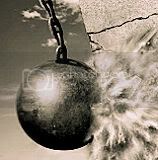 With the election of Barack Obama, unlikely derelicts can become leaders of the people. Or in the words of Jesus, "The kingdom of fairness is at hand". How very Christian, no past sin is unforgivable and the last shall be first (unless you are unionized or a political donation bundler, in which case you are always first). HOPE AND CHOOM, comrades! HOPE AND CHOOM! Is it possible that an entire electorate of the People ™ will decide an election based on Hemp & Choom? 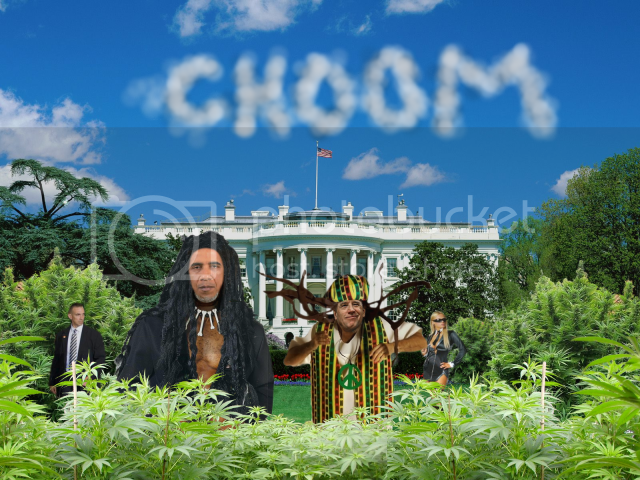 CHOOM WE CAN BELIEVE IN! Chalupa posted Bob Dylan's revisionist lyrics in People's Karaoke, but I thought I'd repost them here. All the voters must get stoned. Why did Obama put his dog on the roof of the car? So it wouldn’t get stoned. Most people don't realize that B. Hussein Obama was the original author of the song Truckin' - but he called it Choomin'. Unfortunately, band-mate and backup singer Jerry Garcia changed the name of the song at the last minute, in the recording studio, to Truckin', which so infuriated Dear Leader (in a peaceful, loving way, of course) that He left the Grateful Dead and became a community organizer. and the rest is more glorious revised historical Current Truth™ brought to you by Dear Leader, (PBUH). An old flyer has just surfaced that the "Choom Gang " had posted at the Punahou School in Hawaii. CHOOM is an anagram of MOOCH. In fact, if you visit an anagram generator and type in HEMP AND CHOOM, you'll find some interesting word combos. Obama was clearly--or hazily--on to something while he was on something. BANNED MUSIC VIDEO " Beat Obama With A Cain"
President Obama Appoints Bill Clinton "Minister of Truth"